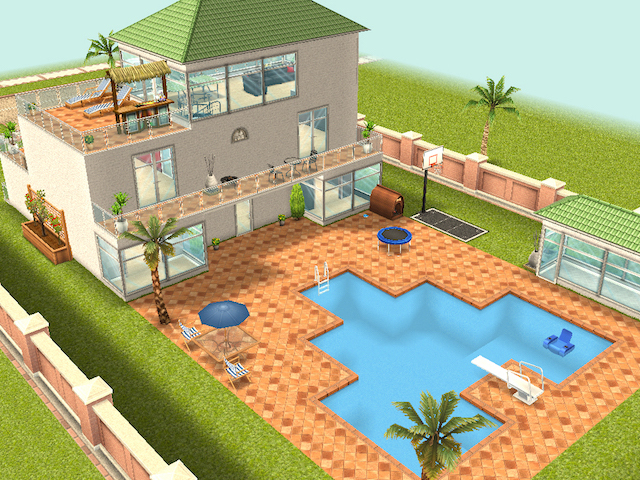 The update introduces basements, patios, balconies and more to the life simulation game. Electronic Arts has announced the latest content update for The Sims FreePlay on mobile devices. Centered on home design, this Dream Home update gives players plenty of new options for decorating and expanding their homes, including the addition of basements. With this update, players Level 15+ can begin working on new quests to build their dream home, as Bree and her DIY home renovation show have come to town, making players’ Sims the stars of the show. Once players complete the DIY Homes: Peaceful Patio quest, they’ll be able to update their outdoor space with patios, and decorate them with outdoor furniture. After completing the DIY Homes: Lovey-Dovey Balcony quest, gamers will unlock the ability to add balconies to their upper floors, while the DIY Homes: Basement of Kings quest unlocks basements for construction. In addition, as players complete these quests, they’ll receive limited time prizes, including the Make Out Couch, new planters and even a mansion. In total, there are over 100 new items available for decorating homes, with many accessible from the game’s store. On top of balconies, patios and basements, regular homes can also be updated with new designs, including support for hallways and smaller rooms. Finally, players can now construct additional floors on their Sims’ homes, with up to five floors supported in total. The Sims FreePlay is available to download for free on the iTunes App Store, Google Play, the Amazon Appstore and the Windows Phone Store.